One Good Question with Kaya Henderson: What will make my heart sing? This post is part of a series of interviews with international educators, policy makers, and leaders titled “One Good Question.” These interviews provide answers to my One Good Question (outlined in About) and uncover new questions about education’s impact on the future. The US has invested in two things in public education that are fundamentally wrong. The first one? Perpetuating really low expectations for kids. When you look at our education investments over the last 20-30 years, the focus has been low-level proficiency in a handful of subject areas. That belies a fairly low expectation about what kids can accomplish. It reveals our belief that, if schools can just get the moderate level of proficiency, then they will have done their job. We seem believe that low to moderate proficiency is the goal for some kids. For wealthy kids, we believe they also need international trips, art and music, foreign language, and service experiences. Those investments, made both by wealthy families and wealthier schools – belie greater expectations for those students. I had the very good fortune to grow up in a family that started out poor, but transcended to the middle class over the course of my childhood. I was blessed to have a mother who had us traveling the world, insured that I spoke a foreign language, took horseback riding, and participated in Girl Scouts. But I had cousins who came from the exact same place as I did, whose parents and schools didn’t share those expectations. Some of them attended the magnet elementary with me, so even when their parents didn’t have high expectations, good public schools put us on the same trajectory. When I became chancellor of District of Columbia Public Schools (DCPS), my expectations were based on my personal experiences. I believe that schools have to inspire kids to greatness. What I saw however, was people trying to remediate kids to death. So, I inherited a district where people weren’t teaching social studies and science, and where arts and foreign language programs were paid for by some PTAs, because some parents recognized the needs even with the district didn’t. What I saw was different expectations for different kids, and the investments followed suit. Our goal was to recreate these rich experiences, both enrichment and academic, for all kids. The second investment that cripple US education? Systems that are built for teachers who we don’t believe in. We try to teacher-proof the things that we want teachers to do. But, if what we give teachers is worthy of them, if it peaks their intellectual curiosity, makes them need to learn, pushes and challenges them? — then teachers rise to expectations in the same way that kids do. One of the things that we did in DCPS was to significantly raise teachers’ salaries, and radically raise expectations. Lots of people were not happy about it, but the people who were happiest? Our best teachers! They were already rising to highest expectations. We reinvented our curriculum aligned to Common Core State Standards, with the idea that every single course should have lessons that blow kids’ minds. We designed these Cornerstone lessons – the lesson that kids will remember when they are grownups. For example, when we’re teaching volume in math, it coincides with a social studies unit on Third World development. So students learn to design a recyclable water bottle, in a few different dimensions, to help developing countries get better access to water. They then build the prototypes for the containers and test them out. Lessons like that make you remember volume in a different way. We wanted one Cornerstone less in each unit, for a total of five over the year. We designed lessons for every grade level, every subject area. When we designed the Cornerstones, we mandated that teachers teach that lesson. What happened? Everyone used them and demanded more! Teachers wanted to have 3 or 4 Cornerstone lessons for each of their units. How do we get parents to opt –in to public schools at scale? I had families tell me that I needed to do a better marketing job, that I wasn’t selling DCPS enough. They compared us to charter schools with glossy brochures. When I started, the product that we had to market wasn’t good enough. I didn’t want to duplicate the negative experiences parents were getting: great marketing, but then disappointment in the product. The first year that I was Chancellor at DCPS, we didn’t lose any kids to charters. That was monumental! After 40 consecutive years of enrollment decline, we had 5 consecutive years of enrollment growth. We laid a foundation with a good program, then we listened to parents. We combined what they wanted, with what we knew kids needed, and rebuilt the system from the ground up. Our competitive advantage is that we are not boutique schools. We are like Target: we have to serve lots of different people and give them different things. As a district, our challenge is to guarantee the same quality of product, regardless of location. What are we going to guarantee to every family and how will every family know that? We started by re-engineering our elementary schools. Some schools had been operating for so long without social studies, that they didn’t know how to schedule for it. It meant creating sample schedules for them and hiring specialist teachers. Once we could tell parents that every school would have XYZ programs, they didn’t have to shop for it anymore! Then we moved on to middle school and guaranteed advanced and enrichment offerings at every campus. Then we did the same at the high school level and significantly expanded AP courses. Today all of our high schools offer on average 13 AP courses. Even if there are kids who have to take the AP course twice, they do it. We know that the exposure to that level of academic rigor prepares students for college. DCPS was a district where families came for elementary, opted-out at middle school, and then maybe came back for a handful of high schools. So we looked at the boutique competitor schools and added a few of those models to DCPS too. You do have to sell, but there’s no better advertisement than parents saying “I love this school !” Some of our schools that were never in the lottery, now have a ton of applicants! We were careful not to build things on charismatic people, but to build systems so that these gains would be sustainable. Now parents that never would have considered DCPS are clamoring for our schools. Kids are kids, no matter where in the country they live. The cost of education is static. If we are serious about this education, we have to make some different decisions and put the money behind it. We’ve seen ten consecutive years of financial surplus in DC, at a time when the country was falling apart. I was even more lucky that three different mayors prioritized education and but the money in the budget. You can’t expect schools to do the more on the same dollars. You have to invest in innovation funds. Kaya’s One Good Question Literally, my question is what is the best use of my time moving forward? When you’re running a district, you are in the weeds. You don’t know about all of the new and exciting things in the space. Right now, I’m being deliberate about exploring the sector and that’s important. I want to figure out what will make my heart sing! Right now I’m obsessed with the intersectionality about housing, education, jobs and healthcare. This old trope that, if we just ‘fix’ education, is garbage. I’m not saying it’s linear or causal, but it’s necessary to work on more than one issue affecting families at a time, and the efforts have to be coordinated and triangulated. Some of the most exciting things on the horizon are people like Derwin Sisnett, who is working to re-engineer communities for housing to be anchored around high performing schools and the community is replete with healthcare services and job training that the community needs to improve. About Kaya: Kaya Henderson is an educator, activist, and civil servant who served as Chancellor of the District of Columbia Public Schools from November 2010 to September 2016. She is the proud parent of a DCPS graduate and a DCPS fifth grader. In 1992, Henderson joined Teach For America, and took a job teaching in the South Bronx in New York City. Henderson was promoted to executive director of Teach for America in 1997, and relocated to Washington, D.C. In 2000, Henderson left Teach for America and joined the New Teacher Project as Vice President for Strategic Operations. One Good Question with Ben Nelson: Do we actually believe that college matters? Imagine a high school student that has the option to go to A) Harvard or B) some other less prestigious educational institution where they will get a better education. How many people are going to say don’t go to Harvard? Effectively nobody. If people actually believed that education mattered, then college rankings, curricula, and choice wouldn’t exist in these formats. Fundamentally, no one believes that the education matters, but that the credentials matter. People think “have credential, will travel”. And they’re wrong. Credentials actually don’t really matter. Credentials ultimately are put to the test when you get to the real world. The investment – whether dollars, human capital, time and money—from government, private sector, or families—the investment that returns the most in your life is learning. It’s not getting an education. You’re shifting the whole paradigm here – learning matters but learning institutions less so? I still believe in “school,” so help me understand this. We need to make a distinction between getting an education, being educated and actually learning. One of the key elements to know that learning has occurred is the concept called far transfer. Far transfer occurs when people apply learning from one context to a problem/need in a radically different context. You know that some has learned when they say, “I’ve never seen this before, but I’ve seen all of these common elements. I studied XYZ and there are patterns developed between them that I recognize here. With certainty, I know that if I do ABC I will likely get positive results. So for families wondering where to invest in their children’s success? Invest in education, not the credential. How do you get people to shift their values towards “education” not credential? Hyperbolic discounting is the phenomenon that things get better with age. Among youth and adults—if you are told “you can invest $10 today and get $100 5 years from now” most people say they would rather spend the $10 today. Similarly, when you tell an 18-year old kid, you shouldn’t drop acid/do coke, because you’re going to have a lot of fun tonight, but 10 years from now you may ruin your life. They discount it. This is so built in to human nature to think about short-term reward vs long-term benefit. It’s hard to admit that you don’t believe in our education system. When push comes to shove and you’re at the supermarket, run into your old friend and she asks where your kid is going to school, you want to say Harvard (or whichever university has status for you). You don’t want to say she’s getting an amazing education at “unbranded institution.” You sacrifice the future well-being of your child to have an easier supermarket conversation. That’s how human beings behave. How do we have a republic that works? People understand and are informed instead of responding to their cognitive biases. They actually commit to spending the time thinking about how not to generate irrational biases. That requires long-term thinking, i.e. I’m going to spend more time pouring through this article, so that my one vote will be a beacon of light and influence others. We’re not built to think that way, even though we live in a world that requires us too. That’s the problem we’re stuck in. We’re not designed for the modern world. We’re still designed to be hunters and gatherers. The only solution I see to our problem is long-term and systemic. Minerva exists to reform education systems all over the world. We believe that reform occurs when the most prestigious institutions reset. Ripple effect goes through the rest of the system. This is a process that will take longer than my lifetime. Don’t divorce the election outcomes from what government policy has been over the past several decades. Republicans and Democrats have focused the last 50 years of higher education policy on: increasing access, increase completion, and more recently lowering costs. The easiest way to increase college access, completion and make it cheaper – is to lower standards. It’s the easiest way. Anyone can go, anyone can finish and it’ll be cheaper. If you actually educate your citizenry, and not just drive people towards the same credentials, more of the population will be ready to take the next step. When you apply science of learning, students are more engaged and are ready to make informed choices. Completion rates then increase. Thirdly, as education institutions focus on education, then they can shed all of the outrageous cost levels that universities are currently in the trap of doing: sports, research salaries, campus museum and performing arts centers. The cost burden of creating these country clubs falls to students and tax-payers but what’s the ROI? If higher ed actually focused on education, then we could solve this. College access and completion rates are only symptoms. You have to treat the root cause. Ben’s One Good Question: How do you enable wise decision-making in a world with unwise people? I don’t know the answer to that. I know how to make less and less wise decisions accelerate—social media, balkanization, knowledge migration – all these trends and realities are pushing us in the wrong direction. About Ben : Ben Nelson is Founder, Chairman, and CEO of Minerva, and a visionary with a passion to reinvent higher education. Prior to Minerva, Nelson spent more than 10 years at Snapfish, where he helped build the company from startup to the world’s largest personal publishing service. With over 42 million transactions across 22 countries, nearly five times greater than its closest competitor, Snapfish is among the top e-commerce services in the world. Serving as CEO from 2005 through 2010, Nelson began his tenure at Snapfish by leading the company’s sale to Hewlett Packard for $300 million. Prior to joining Snapfish, Nelson was President and CEO of Community Ventures, a network of locally branded portals for American communities. Nelson’s passion for reforming undergraduate education was first sparked at the University of Pennsylvania’s Wharton School, where he received a B.S. in Economics. 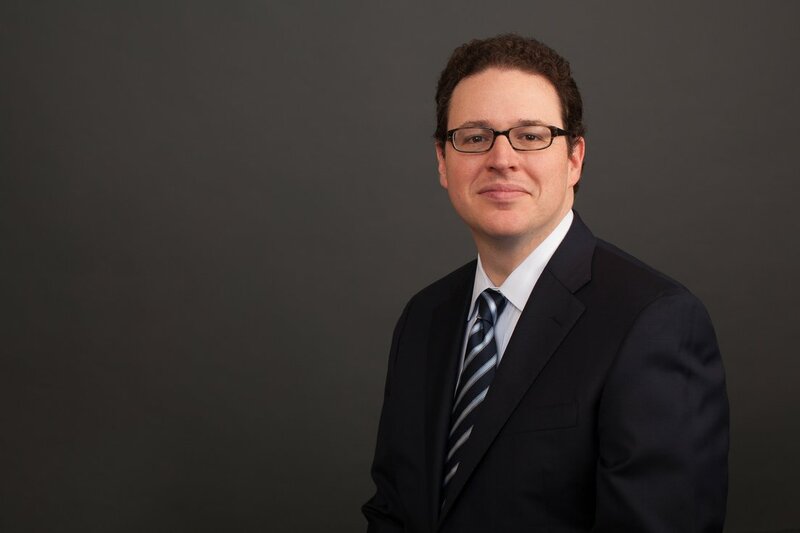 After creating a blueprint for curricular reform in his first year of school, Nelson went on to become the chair of the Student Committee on Undergraduate Education (SCUE), a pedagogical think tank that is the oldest and only non-elected student government body at the University of Pennsylvania. One Good Question with Ana Poncé: Is school enough for our kids? Our mission at Camino Nuevo is to prepare students to succeed in life; we want our kids to be compassionate leaders, critical thinkers, and problem solvers and to thrive in a culturally-connected and changing world. But we can’t do this work alone. We need families to be our partners. That’s why, from the beginning, when we opened our first school, one of our priorities was institutionalizing an authentic parent engagement program with a robust menu of support services. We try to get to know families and understand their needs. When a family needs help, our staff connects them with existing support services in our community. Our commitment to families is paying off: Nearly 100 percent of our students graduate and are college bound. There is a perception that running an effective parent engagement and support services program costs millions of dollars. However, it’s all about the partnerships and how schools integrate the support structures into the day. For example, our schools are able to offer mental health counseling because we partner with a nonprofit mental health provider in the community. We also partner with graduate schools that provide us with interns. Through this partnership model, we can provide services to about 2,000 youth at a fraction of the total cost. We have similar partnerships for our students to have access to the arts, science, mentoring, and afterschool programming. These resources and services are available in many communities. Without dedicated funding available, so many schools feel like they have to choose between academic supports and mental health supports. Why not just rely on community agencies to respond to these needs? Schools don’t have to provide every direct service. However, it is time that schools embrace collaboration and coordination. As educators, we know when families are struggling because a family member will turn to a teacher or staff member they trust to ask for help. Sometimes we find out [about a need] because a student is acting out due to the stress or trauma imposed by a family’s situation. That’s when we can connect those families with support agencies. We’ve had situations, for example, when a child’s family member has been deported, our staff has connected the student and their family to support services because we know how traumatic this situation can be for everyone. We do the same when we hear of a family who may be at risk of being evicted from their home. Everyone — from school leaders to custodians to office assistants – is trained on the referral process as well as our partnership philosophy. So, if a school’s office manager hears about a family in need, that person knows something can be done about it and knows who can connect the family to the services they need. When we grow up in under-served communities and teach/lead in those same communities, we want to provide our students more access than we had. Is that enough? Does today’s generation of (insert your demographic here) need something different than we did? What’s happening here, in terms of the consequences of poverty, is so beyond what we can do as a school. When I think about what is enough, I know that school is not enough. We have a lot more to do and we need a lot more of us to do it. I believe that we need to create culturally reflective environments where our children are seeing themselves, and who they can become, on a daily basis. As People of Color, we come into the education space and some stay for a few years, others stay longer. I don’t think we are doing enough in diversifying the education workforce. I believe we need to do more to prepare people of color for college success so that we can recruit more teachers of color, more leaders of color in education and education adjacent fields. It’s important that our communities support more of us coming back in some way. It doesn’t mean that you have to come back and live in the same community. You can “come back” in different ways – teach or lead in a school site, work in an education nonprofit. Our kids need to see us come back and inspire them. When they see people who look like them in positions of influence (principals, C-level organizational leaders, key board members) and engaging in different activities (in college fairs, arts programs, ethnic studies classes) – their perception of what is possible for them begins to change. Camino Nuevo students are getting a lot more, in many ways, than I or my peers did back in the day, when high school completion was the exception, not the norm, for kids like me. Is it enough? In some ways it is; more personalized attention, more wrap-around services, more enrichment opportunities, more access to higher education. However, our kids still need more because the system is so broken and set up against their success. Our students need more than a solid educational foundation to make them competitive and to help them navigate the system. Higher education needs to rethink how it supports first-generation college student to completion. We have a solid track record of getting our kids to pursue higher education options and many of them are encountering significant barriers that most often are not academically related. What we are doing at CNCA is great and it is a lot “more,” but I don’t believe that it is enough because of the barriers our kids continue to face every day due to systemic injustice. Ana’s One Good Question: As a nation, we’re struggling with low college completion rates. We’re seeing a slight increase in graduation rates for Latinos, but a lot of our kids start college and don’t finish. Education leaders and opinion influencers are rethinking the goals of K-12. I’m really concerned that more folks are thinking about creating alternate pathways for Latinos that don’t include a college education. That’s constantly on my mind. I know that my students, my kids will need a college degree to be competitive and to be on the path to leadership and influential positions. I am committed to educating all our kids to be leaders in their communities and in their fields. When we start creating watered-down pathways to a job, we’re not setting our students up to be leaders. What does that say about what we’re really trying to do? I’m personally committed to figuring out how we move ‘average students’ to attain higher levels of success beyond being at top of class. Jumping to alternative pathways is a quick solution. But let’s think about the consequences and examine what we as educators and what our institutions are not getting right. Let’s not blame the kids just yet. Let’s turn the mirror on ourselves. 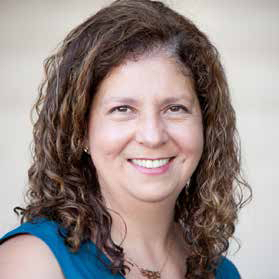 About Ana: Ana Ponce is the Chief Executive Officer of Camino Nuevo Charter Academy (CNCA), a network of high performing charter schools serving more than 3,500 Pre-K through 12th grade students in the greater MacArthur Park neighborhood near Downtown Los Angeles. CNCA schools are recognized as models for serving predominantly Latino English Language Learners and have won various awards and distinctions including the Title 1 Academic Achievement Award, the California Association of Bilingual Education Seal of Excellence, the California Distinguished Schools award, and the Effective Practice Incentive Community (EPIC) award. Born in Mexico, Ana is committed to providing high quality educational options for immigrant families in the neighborhood where she grew up. An alumnus of Teach for America, she spent three years in the classroom before becoming one of the founding teachers and administrators at The Accelerated School, the first independent charter school in South Los Angeles. Under her instructional leadership, The Accelerated School was named “Elementary School of the Year” by Time magazine in 2001. Ms. Ponce earned her undergraduate degree from Middlebury College and a master’s degree in Bilingual-Bicultural Education from Teachers College, Columbia University. She earned her administrative Tier 1 credential and second master’s degree from UCLA through the Principal’s Leadership Institute (PLI) and earned a Doctorate in Educational Leadership from Loyola Marymount University. A veteran of the charter school movement in California, she serves on the Board of the California Charter Schools Association. One Good Question with Connie K. Chung: How can we build systems to support powerful learning? Different communities are investing in their young people in different kinds of ways. Who is deciding how the investment is made is also an indicator of what we value of the next generation. Young people’s voices and even teachers’ voices can be included on a larger sclae. Going forward, given the rapid shifts of what we need to teach our young people, and the current emphasis on personalized learning, those two groups of people are essential to include in deciding that what future investments might be. obtaining consistent, impactful leadership. Average turnover for superintendents in the US is 2.9 years, which isn’t enough to develop sustainable, responsive, or adequate systems for what the students need. creating adequate space, time, and resources for teachers to learn while they are teaching. The technology and content is changing so rapidly that it requires continual learning, even for teachers. We need to develop systems to learn from each other. I know lots of great examples of powerful teachers, schools, and networks like United World College (UWC), EL Education, and High Tech High (HTH) doing wonderful work. But I don’t see a lot of investment in ways to systematically identifying, cataloguing, curating, and making transparent and transferable some of these processes for teachers, school leaders, and heads of systems. What might be sustainable models for teachers to continue to learn in their PLCs, schools, district and region? What’s keeping us from making that kind of investment in US? It would be helpful to enable cultures and conditions where teachers’ voices are heard. I’ve seen this at EL Education schools in the US. Many of their schools have restructured their school time to enable more teachers to collaborate in interdisciplinary teams and let students do projects in longer blocks of time. Some EL Education schools have even restructured the spaces within the schools for the collaboration to occur. So that work is happening, but it’s not happening at a larger scale. In those places like EL Education, they have leadership that is listening to teachers and thinking about how to establish the conditions so that the real learning happens. They’re not so invested in finding the next silver bullet, but in developing whole school cultures that enable continual learning and growth in community to happen. In Teaching and Learning for the Twenty-first Century: Educational Goals, Policies, and Curricula from Six Nations, one of your findings is that countries emphasize cognitive domains over interpersonal and intrapersonal domains in their K-12 curriculum. Why does that matter ? Learning is cognitive, but it’s also social and emotional. For example, we can look at Tony Bryk’s work on trust in schools. The places where student achievement increased were places with a culture of trust. These are environments where people felt able and vulnerable to say “This is what I need to learn and grow,” and felt safe socially and emotionally to do that. And they have communities that supported that vulnerability instead of punishing and hiding it. Carol Dweck’s work is about not just growth mindset for students but could be applied to teachers as well. The process of learning is not just cerebral, but being vulnerable and humble, and takes place in supportive and collaborative school culture that, listens to and learns from, and challenges each other. The more we acknowledge and understand that, and then build our systems to support not just the development of cognition, but cultures, systems, and relationship building, that’s the hard work that needs to be done now. It’s not magic. I’ve heard too many times about cases where school districts pivoted and adopted a curriculum that’s student centered and adapted to the 21st century but without other support systems and structures to enable that change. But as several educational leaders have noted, “Culture eats policy for breakfast.” Even in China, our colleagues also found that, in their innovative schools districts, their broader district culture embraces innovations and trying new things. We might continue to recognize and cultivate leaders who pay attention to how to build cultures and environments that enable students and teachers to do this kind of work. We need a shift in the kinds of questions that we’re asking, a shift in processes and frameworks, not just in acquiring a new curriculum. In a 19th century factory model, where we you want to get the process right for mass production, quality was defined by consistency. The 21st century model is a sharing economy in which people all have the ability to be creators. The ability to cultivate systems and cultures that enables that to happen, where people feel empowered and equipped, is perhaps just as important as paying attention to individual components like curriculum. I think the cultural piece can’t be emphasized enough – values, attitudes, relationships, and structures. How do we create that kind of environment? How do we do this without over-testing social-emotional learning? The ultimate assessment is: are we going to survive and thrive as a country? Have we created students through our school systems who are going to live well together and promote their own and others’ well-being? That’s the ultimate high-stakes assessment! We may have people who have tested well in schools but may well be failing this real assessment around whether we can create a sustainable future together. This goes back to the purpose of education, which is important to look at as a guide. We’ve overemphasized assessment to guide us. Assessment is one indicator for achieving our broader purpose, but we’ve disproportionally given power to assessment to drive the entire endeavor of education. It’s a tool, but testing well is just part, not the entire purpose and end goal of education – personal, social, and global well-being are. For example, OECD is driving towards these broader outcomes with their Education 2030 plan; it focuses more on creating positive value and well-being for example. UNESCO is also arguing for education being a critical part of building sustainable futures for everyone on the planet. If that’s the case, let’s figure out how we can build a better world together, using all of our tools, and not solely rely on narrow indicators. Connie’s One Good Question: Much of what we think is necessary for students to learn is already happening, just only in pockets and for certain students and not for others. That said, I have a lot of questions! How do we rapidly make sure that all students are receiving and engaging in this kind of education? What roles could researchers, policy makers, teachers, parents, and social entrepreneurs all play in this? Are there ways that we can all work together to achieve this for a larger population and wider range of student? How do we collect and connect good people who are already doing this work to make it grow exponentially vs. linearly? 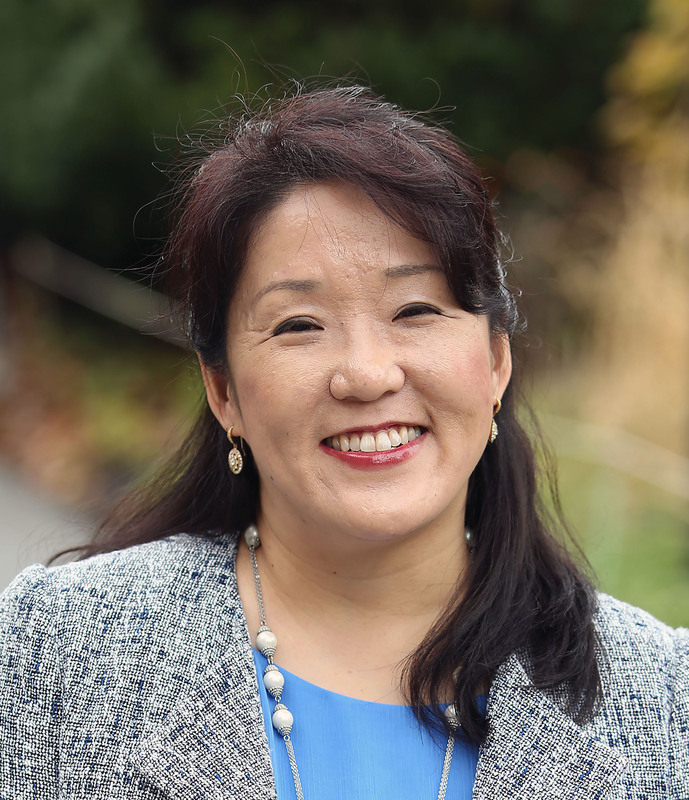 About Connie: Connie K. Chung is the associate director of the Global Education Innovation Initiative at the Harvard Graduate School of Education, a multi-institution collaborative that works with education institutions in eight countries. She conducts research about civic, global citizenship, and 21st century education. She is especially interested in how to build the capacities of organizations and people to work collaboratively toward providing a relevant, rigorous, meaningful education for all children that not only supports their individual growth but also the growth of their communities. She is the co-editor of the book, Teaching and Learning for the Twenty-First Century: Educational Goals, Policies, and Curricula from Six Nations (2016), a co-author of the curriculum resource, Empowering Global Citizens: A World Course (2016), and a contributor to a book about US education improvement efforts, A Match on Dry Grass: Community Organizing as a Catalyst for School Reform (2011). A former high school English literature teacher, she was nominated by her students for various teaching awards. Connie received her BA, EdM, and EdD from Harvard University and her dissertation analyzed the individual and organizational factors that facilitated people from diverse ethnic, religious, and socio-economic class backgrounds to work together to build a better community.